I was not quite 14 when I was prescribed the oral combination pill, the hormonal contraceptive more commonly known as ‘the Pill’ that’s been around since the 1960s. I had had terrible acne since I was 11, and nothing else had worked. Within six months I had beautiful clear skin, and my confidence skyrocketed. I left my acne days with minimal pockmarks, exactly what my doctor wanted, but my mother warned me that not everyone would understand why I had to be on the Pill at such a young age. Unfortunately, she told me, not everyone knows that it’s not just for contraception. It was here that I began my long journey to learn of different hormonal contraceptives, and how they can be used to help those of us with a uterus. 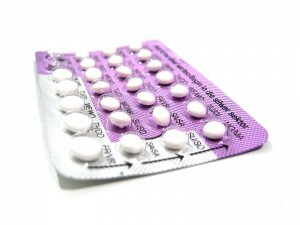 I have been on several different brands of the Pill, the oral contraceptive containing both oestrogen and progestogen. One made me fat, the next one retained too much fluid, the next gave me bleed throughs. It took a little while to find the perfect match for my imperfect body. Not everybody has this problem, and some find the right one straight away. In Australia, we have the Pharmaceutical Benefits Scheme (PBS), which covers several brands of the Pill. There are many more options, but they are considerably more expensive, but often claim to offer more benefits. The Pill is a great start for hormonal contraceptive, as it can be easily stopped if the side effects are too severe. If you do suffer side effects from the Pill, or it just doesn’t suit your lifestyle, there are plenty more options. The Mini Pill is an oral contraceptive similar to the Pill, but only contains progestogen and must be taken everyday within a three-hour timeframe. Unlike the Pill, there are no sugar pills or placebos. The Mini Pill is often chosen for its tablet form, when the user’s body doesn’t take kindly to oestrogen. Due to the lack of oestrogen, the Mini Pill has a decreased risk for deep vein thrombosis and heart disease. The decreased risk of blood clots means that you can take the Mini Pill if you’ve been diagnosed with sickle cell anaemia. Both the Pill and the Mini Pill offer health benefits besides contraception, such as lighter periods, less cramps, and decreasing the likelihood of pelvic inflammatory disease. The PBS covers two different generic brands of the Mini Pill, both priced at just over $10 for four months of tablets. Depo is an injection of synthesised progesterone administered every three months that works by preventing the release of eggs from the ovaries and thickening cervical mucus so that sperm can’t enter the uterus. This shot is also used to treat Endometriosis, a condition caused by the endometrium, the lining of the womb, growing outside the uterus. It can cause painful periods and, if left untreated, infertility. Depo can lighten menstrual bleeding, even stopping periods completely. I’m currently on Depo, and it has been great for me from the get go. However, I have absolutely no fear of needles, and am not planning to have children in the next ten years, let alone in the next 12-18 months. When trying to conceive straight after using Depo, cases have been reported of taking up to 18 months to become pregnant, a lot longer than most other contraceptives. The rate of conception is not affected by the length of time a person uses Depo. There is another contraceptive injection called Nositerat that is administered every two months, but is not widely available in Australia. Depo is covered by the PBS, but must be administered by a doctor or nurse. The contraceptive implant is surgically placed under the skin of the upper-arm by a medical professional using local anaesthetic. There can be bruising and light scarring from the minor surgery, but it is an easily reversible form of contraception that lasts up to three years. This is another progestogen contraceptive, preventing ovulation and thickening the mucus of the cervix so that sperm cannot enter the uterus. Implanon is the brand covered by the PBS for an upfront cost of about $36. This is a great contraceptive choice for those who don’t have time to go to the doctor every three months for an injection, and don’t want to have an IUD. There is always a risk factor when engaging in sexual activity, and while all of these contraceptives have extremely high success rates, none of them are 100 per cent effective at preventing pregnancy, and none of them protect against sexually transmissible infections (STIs). If one of these looks like it might be the one for you, or you have any other questions, talk to your doctor and get more information. Cin will be back in a fortnight with part II of her coverage of hormonal contraception, if you’re still wondering what else is out there. Stay tuned for the next instalment of ‘Well…What?’: Lip’s guide to health, medicine, healthcare and wellbeing. This entry was posted in Column, Health and tagged Cin Peeler, column, contraception, health, sexual health. Bookmark the permalink.